The first thought that comes to user’s mind when something goes awry with anything Windows is System Restore. This feature is as old as Windows platform itself and it provided a safe exit for many concerned Windows users. 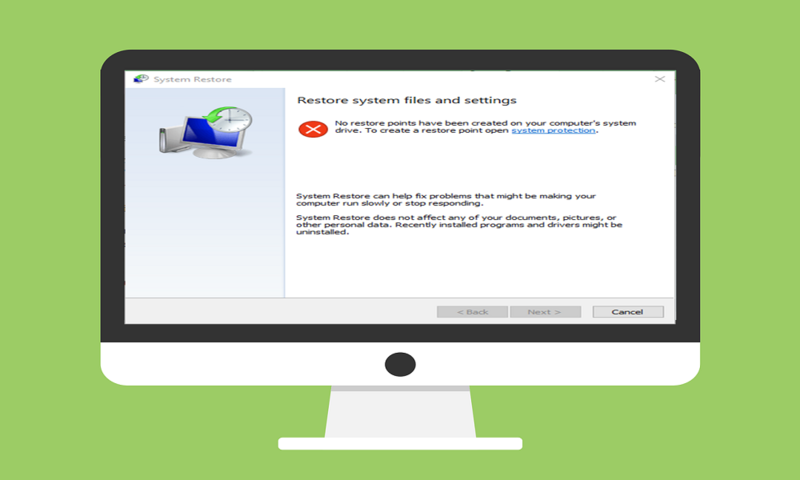 As you probably know, System Restore creates restore points you can use to rewind time. But what happens when you just can’t access any restore point? Some users reported this issue in Windows 10, but it’s frequently recurring on previous iterations, as well. 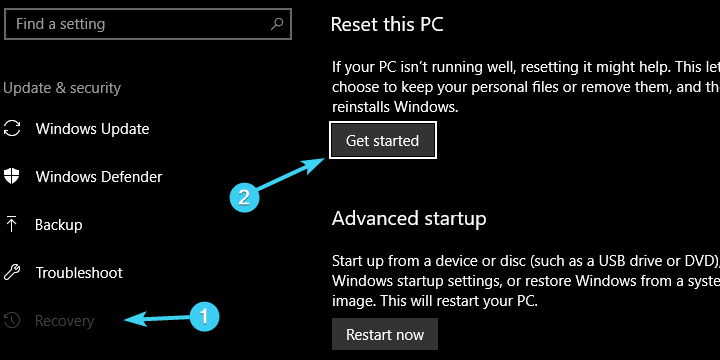 Will make sure to show you how to enable System Restore feature in Windows 10 and create restore points manually. After that, there are some alternative solutions for any major problem in absence of a suitable restore point. Make sure to check the solutions below. First things first. 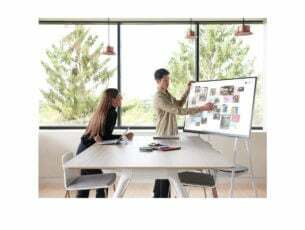 With Windows 10, Microsoft decided to disable System Restore feature by default in order to preserve storage space and lower the requirements. 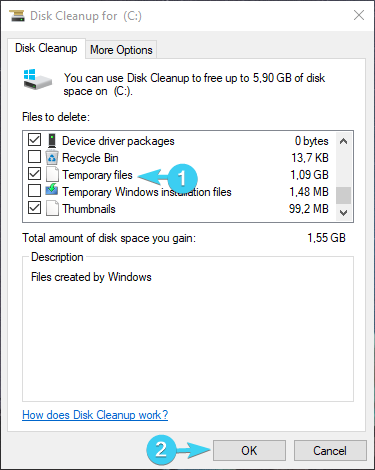 Restore points can take a lot of storage space and, with them running in the background, the minimum of 16GB of free space Windows 10 actually requires, would be impossible to work with. For that reason, make sure that the automatic restore maintenance is enabled. Of course, if you’re trying to repair your already damaged system, enabling System restore won’t help you too much. It’ll only take the snapshot of the system in it’s current, broken state, so we advise you to rather turn to alternative recovery options Windows 10 offers. 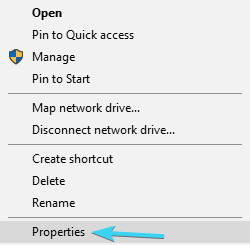 Right-click on This PC and open Properties. Click on System protection on the left side. 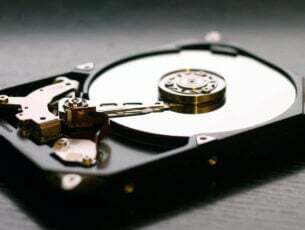 Select Local Disk System partition, usually (C:). Click on ”Turn on system protection”. Select preferred disk usage limit on the scale. Once the restore points reach the limit, they’ll be deleted from older to newer. Take into consideration the available space since they tend to pile up quickly. Confirm changes and restart your PC. After that, your system will keep track of changes and create restore points accordingly. Basically, after every newly installed program or major system change, the system will create a restore point. Now, there’s a scenario where you are certain that there were some restore points but they’re gone for no apparent reason. Sadly, that’s not unusual. Sometimes they’re wiped out by system updates, configuration changes, or even a third-party antivirus solutions. And the worst thing is that you are, most of the time, unaware of that. And when the dire times come and you’ll need to restore PC and fix the errors — not a single restore point is there to answer your call. If this is a repeating occurrence, your best bet is to leave the automatization behind and do it manually. 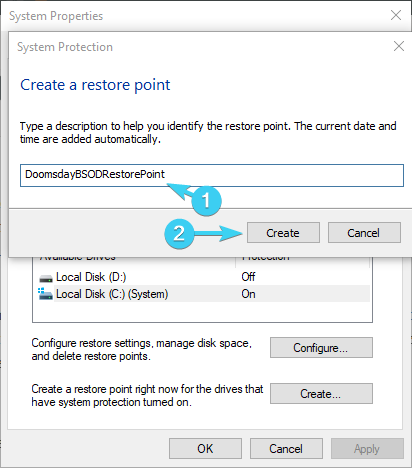 You can create a restore point whenever you deem it needed, but you can’t move it from the default location which complicates things. The only thing you can do to avoid possible absence at the time of need is to create them as often as you can. In the Windows Search bar, type restore and open ”Create a restore point”. Under the ”System protection” tab, click on ”Create…”. Name the restore point and click on Create. The system will create a restore point and you’ll be good to go when the future issues emerge. 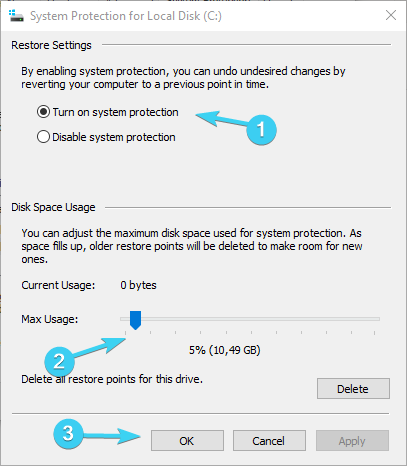 As we already mentioned, System restore points take a lot of space and they’re saved for every partition individually. So, it’s very important to have a free storage space you can allocate to the creation of restore points. In addition, in the worst-case scenario, your HDD might be faulty and thus it’ll keep obstructing the creation of weekly restore points. 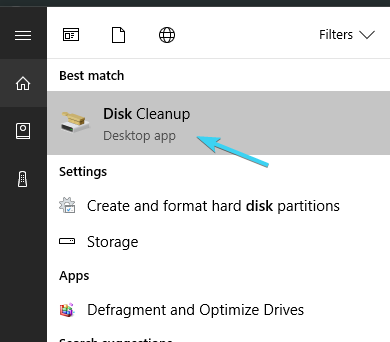 In the Windows Search bar, type Disk and open Disk Cleanup. 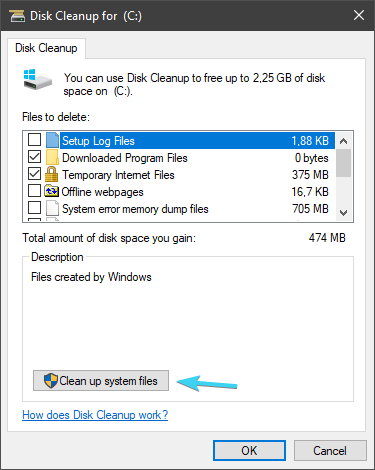 Select the system partition (usually C:) and click on OK.
Click on the ”Clean up system files”. 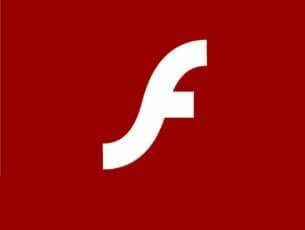 Check whatever you want but checking Temporary files is a must since those take the most space. Of, course, you can uninstall installed programs or games to get even more free space. Type cmd in the Windows Search bar, right-click on Command Prompt and run it as an administrator. In case the Check Disk utility founds any errors, it will repair them accordingly. 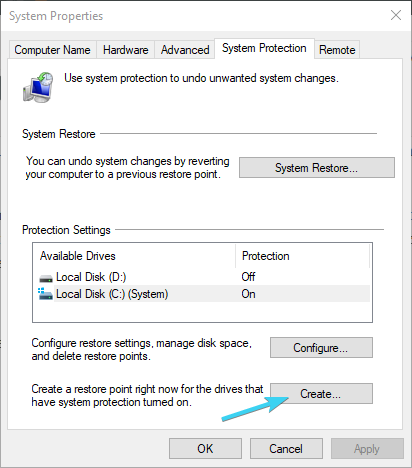 Once the procedure ends, restart your PC and try creating a restore point manually (as explained above). Finally, the previous steps were mainly intended to fix the issues with missing restore points. But, what to do when you’ve already bumped into a critical system issue and there’s no restore point you can turn to for help? Luckily, there are a lot of alternative recovery options in Windows 10. It’s just like they predicted the possible problems that might occur. Select Recovery from the left pane. Under ”Go back to the previous version of Windows 10”, click Get started. Follow the instructions until you roll back the Windows 10 version and, hopefully, resolve the problem that’s bothering you. 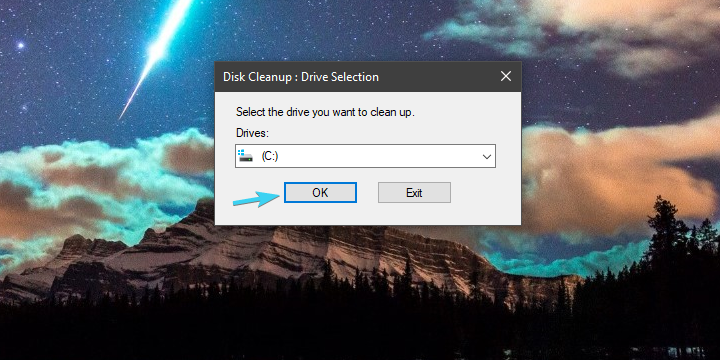 Right-click Start and open Settings. Highlight Recovery from the left pane. Under the Advanced Startup section, click Restart now. When the Advanced Startup menu appears, click Troubleshoot. 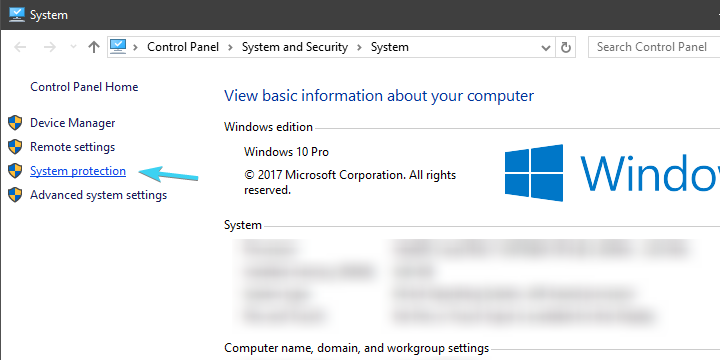 Click on the ”Go back to the previous version of Windows” option. 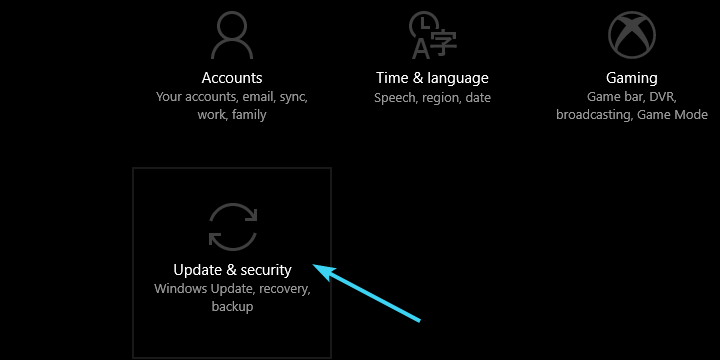 On the other hand, if you’re unable to fix the problem by rolling back to the previous version of Windows 10, you still have ”Reset this PC” at your disposal. 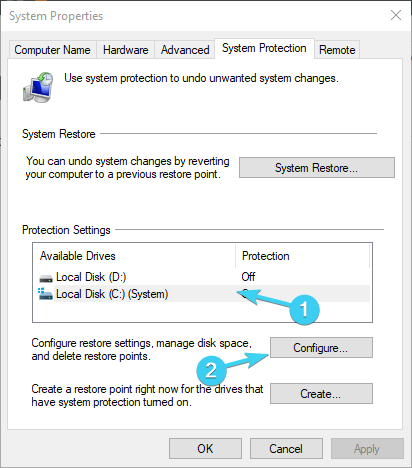 This recovery option enables you to reset your PC to default settings, restoring everything in the process to the default values. It’s analog to reinstallation of the system, with the exception that you can keep your files untouched. Use Windows key + I to summon the Settings app. Open the Update & security section. 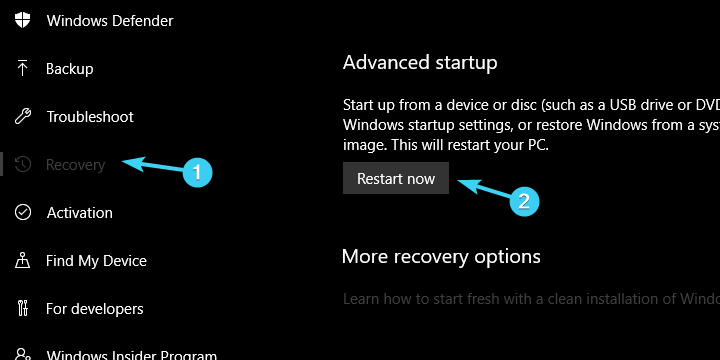 Choose Recovery from the left pane. Click on the ”Get started” button under ”Reset this PC”. Chose whether to keep or erase all your files. Continue with the steps until the system is fully restored to default values. Finally, if none of the previous steps worked for you, you can always perform a clean reinstallation. Make sure to check out our detailed explanation in this article. That should do it. In case you have question or suggestion in regards to System restore and/or missing restore points, don’t forget to tell us in the comments section below.